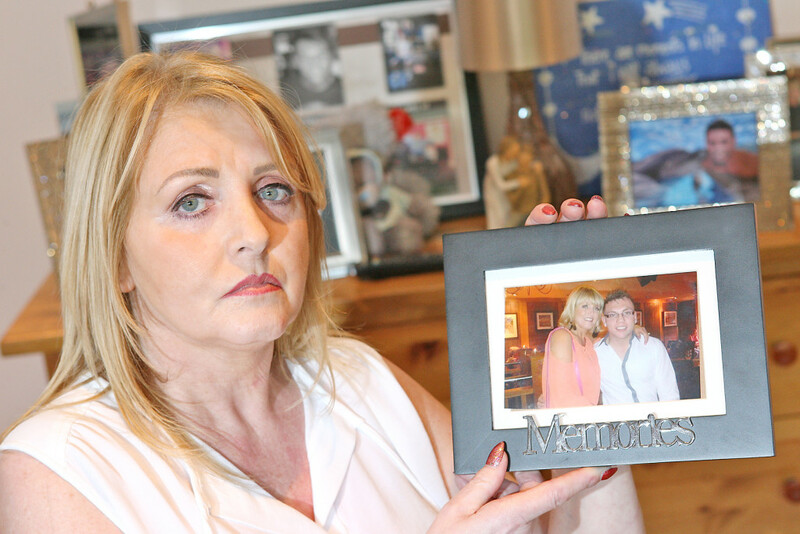 THE heartbroken mother of Eamonn Magee Junior says she can now finally grieve for her son after the man accused of killing him pleaded guilty to murder. There were emotional scenes in Belfast Crown Court on Tuesday as Orhan Koca pleaded guilty to the 2015 murder of the young West Belfast student and boxer. 34-year-old Koca, of no fixed abode, admitted murder just as his trial was about to begin. 22-year-old Eamonn died from stab wounds he suffered in an attack at the Summerhill Park home of Eamonn’s girlfriend, Courtney Ward, in May 2015. Engineering student and rising boxing star Eamonn was following in the footsteps of his father, Eamonn Senior. Talking about the man who killed her beloved son Mary said: “He has gone through six defence teams and now he finally pleaded guilty, maybe it was the fact that the jury was sworn in and the witnesses, maybe the seriousness of what he has done finally hit him. Mary says that although she is trying to begin rebuilding her life there are some days when she just can’t face it. “My son Francis wants to go to Australia and I’m afraid to let him out of my sight. This has had a terrible effect on him and on all of us. “I don’t know how I am feeling, I’m up and down. Some days I lock myself in my room when I just can’t face the world. I cried all day last Tuesday knowing I would have to go to court. “Eamonn’s daddy is gutted, he needs to know what sentence will be handed out for the murder of our son. It has been almost two years since Eamonn’s tragic death and only now are his family feeling strong enough to make arrangements for his headstone. Showing us around Eamonn’s bedroom Mary said: “I love opening his bedroom door because I can feel his energy going all through the house, I cling to my good memories. “His bedroom is exactly the same as the day he left it, he changed his bedclothes that day and I’ve kept them the same since. “It’s such a waste, look at all the medals he won. He was a real charmer. The girls loved him. I get my strength from Eamonn. I can feel him with me, we were so close. I know he’s still with me. There are days I lock myself away, but my wee grandson gives me a reason to carry on. Describing her beloved son Mary said: “I never had a minute’s trouble from Eamonn and all his school reports were always really good, he was a beautiful child. He had a girlfriend called Laura and she and her family were a brilliant influence on him, they taught him that he could achieve anything he set his mind to as long as he was prepared to work hard, he was going places. He was either taking a class, training people, training himself or studying. Mary continued: “I have a lovely photo of Eamonn and his daddy. He had just lost the Ulsters, a title his daddy had previously held and to be honest everyone thought Eamonn had won it. Big Eamonn thought he was going to pass on the trophy to his son that night but it didn’t work out that way. The wee fella who won it came to the house during Eamonn’s wake and gave me the winner’s medal. He said, ‘I’m just here to give this medal to its rightful owner.’ I was so touched, it meant the world to us. “We will never get justice because Eamonn is dead. This sentencing is the best we will get. How dare he do what he did to my son and my family? It’s such a loss and I’m only now realising that my son isn’t coming back. Orhan Koca is due to be sentenced for the murder of Eamonn Magee Junior on May 5.